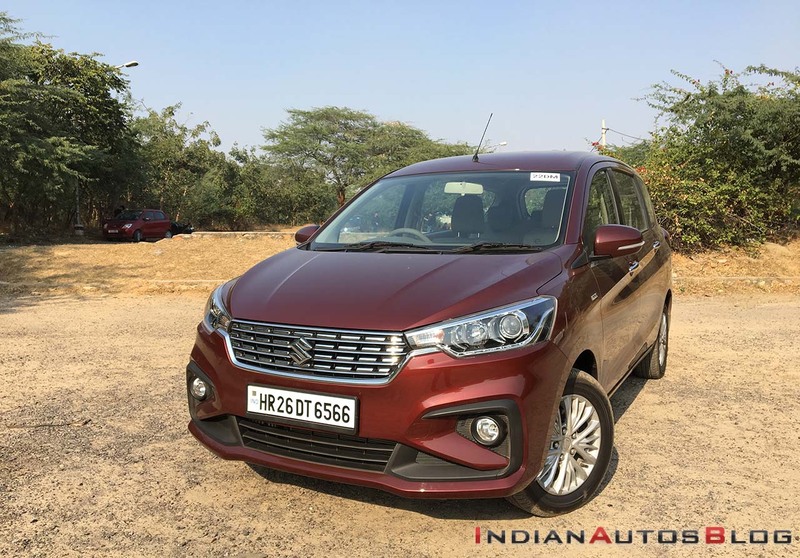 The Maruti Ertiga will get the newly-developed E15A 1.5L diesel engine soon after the Maruti Ciaz. 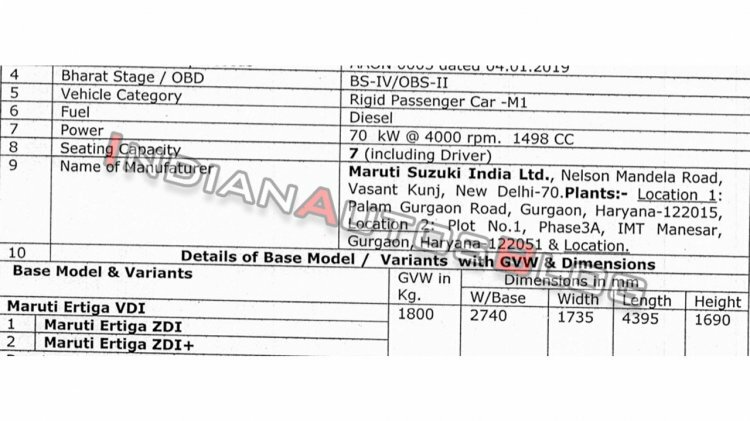 Here’s a document showing the specs and equipment lines of the Maruti Ertiga 1.5L diesel. The Maruti Ciaz and Maruti Ertiga will employ the E15A 1.5L diesel engine in the same tuning. From the document, it is safe to assume that the Maruti Ertiga and Maruti Ciaz will get the E15A 1.5L diesel engine in the same tuning, with ‘DDiS 225’ branding. The 1,498 cc engine produces 70 kW (95.17 PS) at 4,000 rpm and 225 Nm of torque at 1,500-2,500 rpm. To keep the pricing competitive, Maruti Suzuki will introduce it in the BSIV version. Unlike the D13A 1.3L diesel engine, the E15A 1.5L diesel engine won't come with mild-hybrid technology. Maruti Suzuki sells the Ertiga 1.3L diesel in Ldi, Vdi, Zdi and Zdi+ grades. It won’t offer the 1.5L diesel engine model in the most basic, Ldi grade, though. The Vdi grade features full wheel caps, power mirrors (adjust & fold), remote keyless entry, second-row centre armrest and adjustable AC, day & night IRVM and audio system with touch buttons. The ZDi grade’s highlights include front fog lamps, 15-inch alloy wheels, rear wiper & washer, height adjustable driver seat, sliding armrest with storage space (front-row), faux wood finish, automatic climate control and rear defogger. The ZDi+ grade is equipped with a 7-inch touchscreen infotainment system, leather-wrapped steering wheel and rear parking camera as well. The introduction of the E15A engine won't lead to the phase-out of the D13A engine. Maruti Suzuki would continue offering the old unit at least until the year-end. The D13A 1.3L diesel engine would continue in the Maruti Ertiga until the year-end. Around the same time, expect the E15A unit to leap to the BSVI standards.